Thao Nguyen and Mirah Yon Tov Zeitlyn have teamed up to produce an album of mellow vocals and indie folk rock. Separately, their unique sounds have gained them respectable solo careers. Together, their harmonies are quite in tune and complementary. 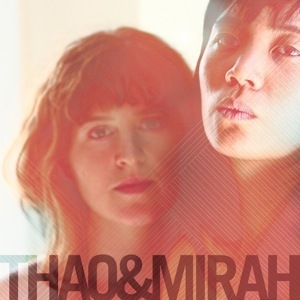 Their first album together, Thao & Mirah, set to be released on April 26, is soft and wispy. Both Mirah’s and Thao’s vocals are light and untainted. In the opening song “Eleven,” the percussion keeps the song rhythmic and catchy while the duo’s vocals deem it an original. “When love is love, don’t let it go away,” they sing in a hypnotic and pure tone. The soft and sullen way in which they sing could be compared to Hope Sandoval of Mazzy Star. The album is probably a once in a life time production, but is not fully remarkable. The overall sound is fueled mostly by delicate, whiny vocals which at times carry no depth, but the album may be worth it for you if you enjoy slower paced songs with a gentle and jazzy touch.